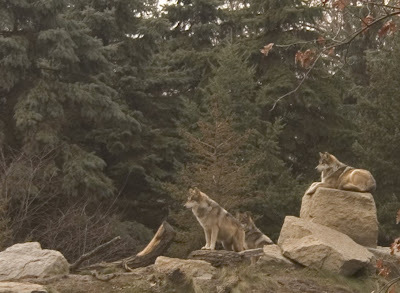 This, above, is a typical shot of the wolves at Brookfield Zoo, when they’re on the top of the hill. This is what you get when you have a f-11 lens, aka a 1.6-meter-ish telescope mounted to your SLR. 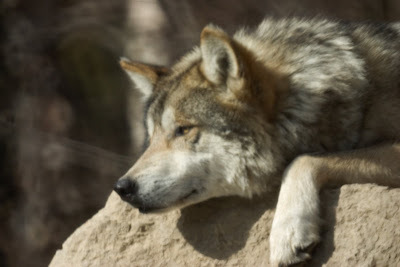 Yes, this wolf is on the top rock in the photo above. These are both from 2006, two different trips. 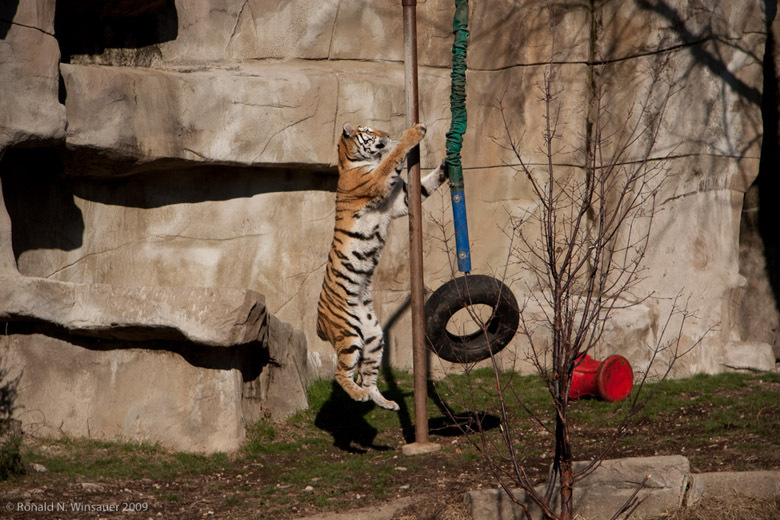 Here are my pics of the Milwaukee zoo . In total otter and I took 680 pictures. It was about a 2:1 split two of mine for every 1 of otters. After sorting we ended up with 116 pics 77 mine and 39 otters. So she was off a bit on her numbers. The The “Come Hither” Bongo that otter mentioned is what she submitted to TWIP bi-weekly photo challenge. TWIP (This Week in Photography) is a weekly podcast dealing with Photography that I listen to. On the way home we were talking about the current challenge (Door) and that is what prompted her into submitting the Bongo pic. Still no post about who won this week.